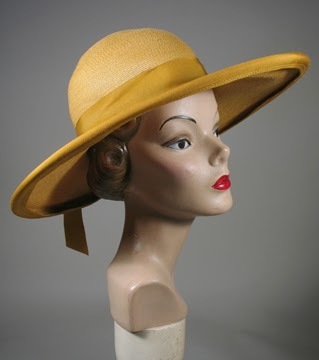 Past Perfect Vintage: Are Hats Dead? Really? People,(and by that I mean fashion commentators), have been crying "Hats are Dead!" for decades. In the sense that women no longer buy a hat for every dress or suit, I suppose so. 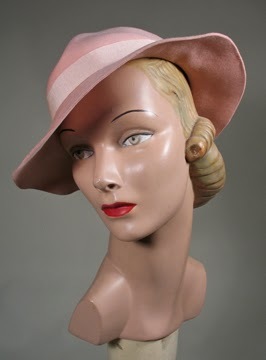 Certainly that golden age of millinery that reigned from the 1920s to the 1950s is long, long over. I still see ladies estates form the 50s and 60s with more hats than you can imagine. No woman I know of still buys those kind of dress hats or in that quantity. Oh,there was a time in the 1980s when Princess Diana popularized hats again, and even I sported several felt hats in grad school. But it's not that hats are gone, they are just different. There are still Sunday church hats, baseball caps, fascinators, cold weather hats, sun hats, hipster ethnic hats, stocking caps and that once a year festival of whimsy and craziness known as the Kentucky Derby Hat. So it's different now, as it should be. We aren't as formal. That's fine. I get it. Women don't want to wear hats the way they used to. And yet.......... 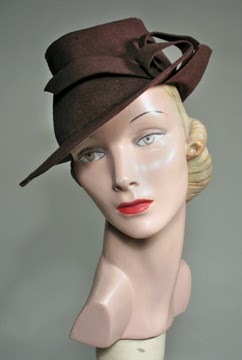 I just added 6 hats to Past Perfect Vintage, and 3 sold instantly. And I do mean the very next day. 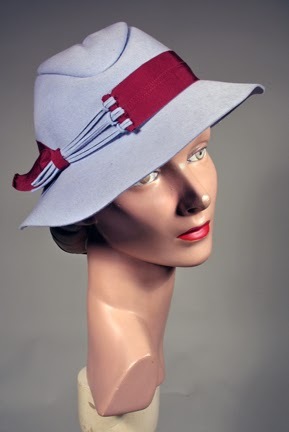 This makes me happy - not just for the sales, but that there are still women who like a great hat! Here are my two simple questions: Do you wear hats? What kind? I love hats! I wear a beret almost every day in the fall, winter and spring when the weather is chilly. I own one in practically every colour. In the dead of winter I love to wear my vintage racoon fur hat. In the summer I have large straw hats for the beach and at the lake. 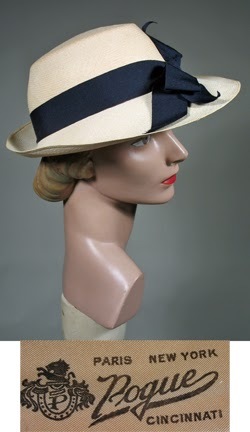 I also have a fondness for 60's style cloches and 30's/40's tilt hats which I wear whenever appropriate. A hat certainly takes guts to wear in public and definitely draws attention. 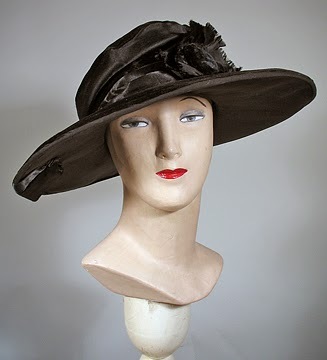 I have worn hats, I grew up in the era of proper ladies not leaving the house without one to the era of the "fun hat". I've also worn military hats, band hats of different sizes and height, and fuzziness, winter hats, the occasional rain hat, and one with a huge brim for summer protection. I don't wear hats otherwise, just don't seem to have the face for it? I've tried, really tried, belive me. I just come off looking like a clown! (Not a style I've worn, but maybe I should.) I do love looking at them though. I not only wear hats, but I make them! we have a millinery in PA! and we do well! yes, people still wear hats. But it takes a confident woman. One who does not care what anyone thinks. Enjoy your blogs!